CadillacConsumer Reports named Cadillac’s Super Cruise as the best semiautonomous driving system. 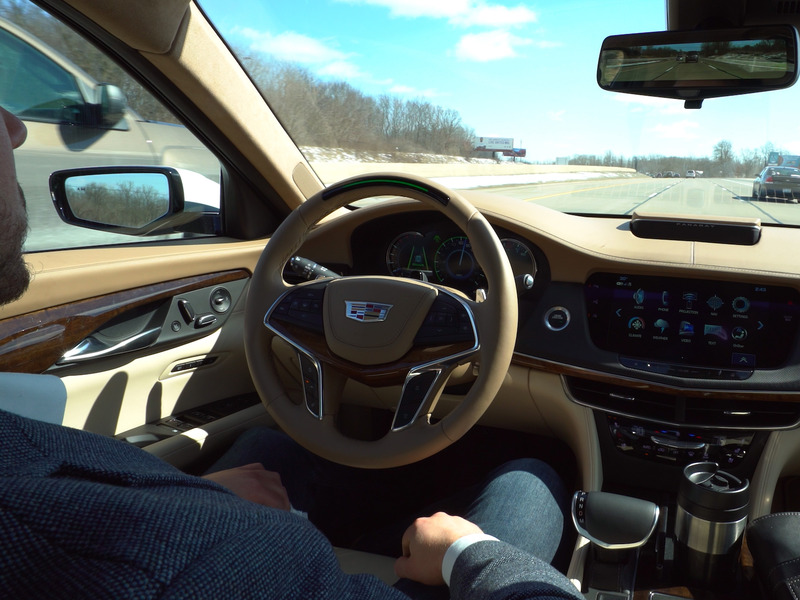 Consumer Reports tested four semiautonomous driver-assistance systems and rated Cadillac‘s Super Cruise as the best. The publication ranked Tesla‘s Autopilot second, Nissan’s ProPilot Assist third, and Volvo’s Pilot Assist fourth. The systems were evaluated on both their capabilities and how well they kept drivers engaged. Consumer Reports tested four semiautonomous driver-assistance systems and rated Cadillac‘s Super Cruise as the best. The publication ranked Tesla’s Autopilot second, Nissan’s ProPilot Assist third, and Volvo’s Pilot Assist fourth. The semiautonomous driving systems Consumer Reports tested have the ability to keep a car centered in its lane and regulate its speed in certain situations but require the driver to be attentive. The systems were evaluated on both their capabilities and how well they kept drivers engaged. Super Cruise was rated as the best at monitoring drivers, responding when drivers weren’t paying attention to the road, and making clear when it could be used. The system uses a camera to track the driver’s eyes and, if it determines the driver isn’t alert, will give visual, audible, and tactile warnings before slowing the car’s speed. Super Cruise’s lowest-rated feature was its ease of use. Autopilot received the highest rating for capability and performance and ease of use but received the lowest rating for keeping drivers engaged. ProPilot Assist didn’t receive the highest or lowest rating for any category, and Pilot Assist received the lowest rating for capability and performance, ease of use, making clear when it’s safe to use, and responding to inattentive drivers. While semiautonomous features are becoming increasingly common, they have raised questions about whether their ability to reduce driver stress and fatigue is outweighed by their potential to discourage attentiveness and actually make an accident more likely. The ways auto companies market the systems have also drawn scrutiny. The first and largest line of text on the Autopilot section of Tesla‘s website says “Full Self-Driving Hardware on All Cars,” referring to Tesla’s claim that all of its vehicles made since October 2016 have the hardware necessary to support fully autonomous software. Consumer Reports said that, before last week, Volvo linked Pilot Assist with “Autonomous Driving” on its website. The publication said that after it asked Volvo about that categorization the automaker edited the language on its website to remove the association between Pilot Assist and fully autonomous driving.